Size of this PNG preview of this SVG file: 800 × 480 pixels. Other resolutions: 320 × 192 pixels | 1,024 × 614 pixels | 1,280 × 768 pixels | 1,522 × 913 pixels. 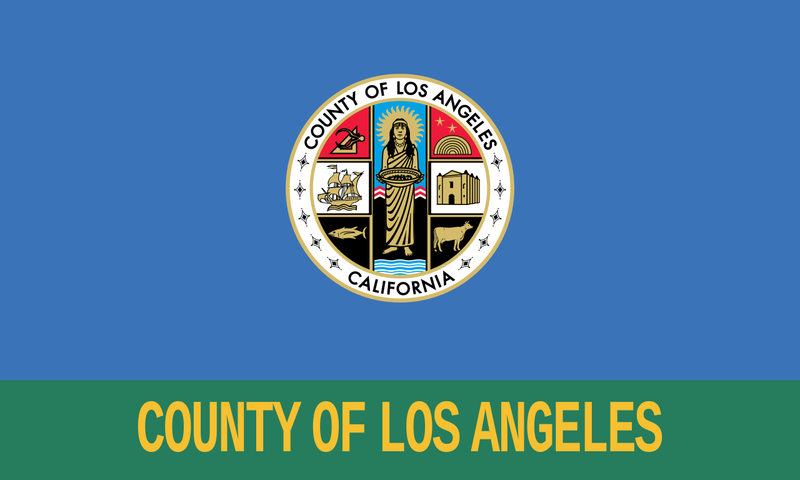 English: The flag of Los Angeles County — in Southern California. Used from 2004 to 2014 and from 2016 to the present. The current "Los Angeles County flag". 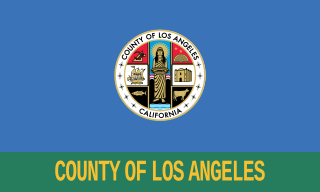 It consists of the Los Angeles County seal on a rich blue background, with the words "COUNTY OF LOS ANGELES" on a green stripe across the bottom. This vector image includes elements that have been taken or adapted from this: Seal of Los Angeles County, California.svg.